This sign is for White Inc Laundry and Drycleaning. The sign’s colors are black and white. 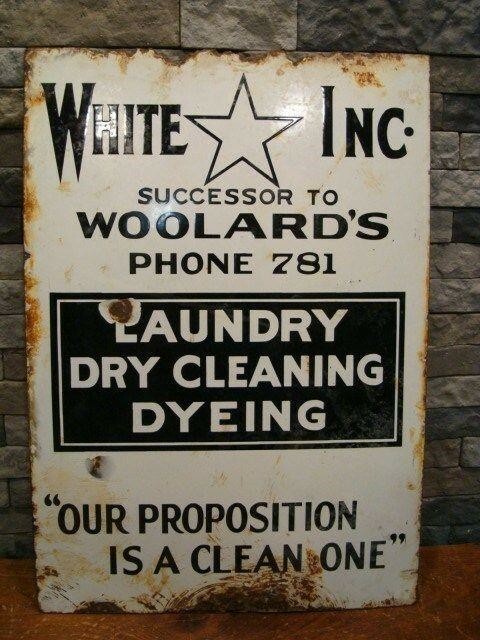 The text on the sign reads: White Inc successor to Woolards Phone 781 Laundry Dry cleaning dyeing our proposition is a clean one. The sign shows a star at the top with text surrounding.